Yeah! DrapeStyle has it’s very first Patent! In the drapery business we have always just sort of done things they way they have always been done for a hundred years, but not at DrapeStyle. When we make a Cartridge Pleat Drape we basically make a cylinder or a cone. The inside of the cylinder is empty and just about every custom drapery manufacturer in the world will stuff that cylinder with paper or pillow-fill or something else to keep the cartridge pleat, well, shaped like a cartridge. When you “stuff” a cartridge pleat or a goblet pleat with paper or whatever you run into a couple of problems. The first problem is that if you crush, pinch or otherwise misshape the pleat they are not going to “bounce back”. As a result you get pleats that are either misshapen, crooked or just not, well a cartridge pleat. Problem number two, is that when you fill the pleat with “material” you leave little spaces in there. Little dark spaces. And, we know who likes little dark spaces, right? Yes, little crawly creatures. They like to move into cartridge pleats and build themselves little nests. And, once they have a nest they like like to fill that nest with little baby crawly things. 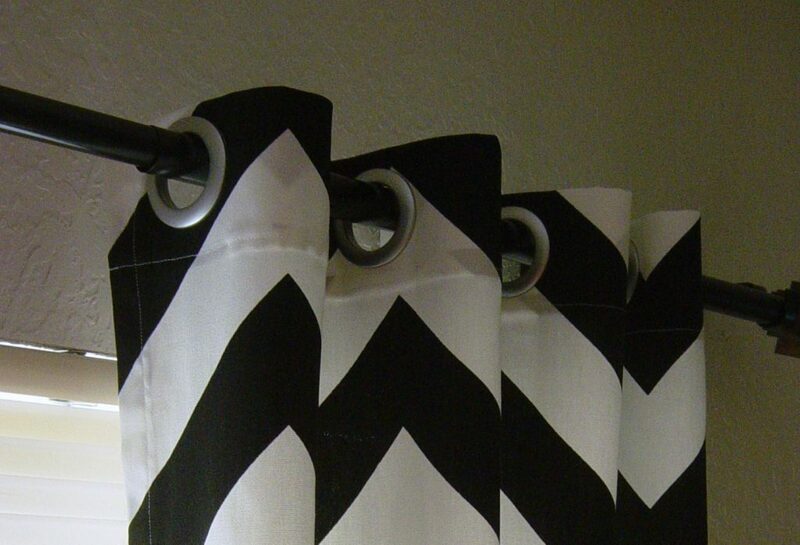 Before you know it you have a little crawly thing condo happening in your drapes Cartridge Pleats. Not at all what you had planned! 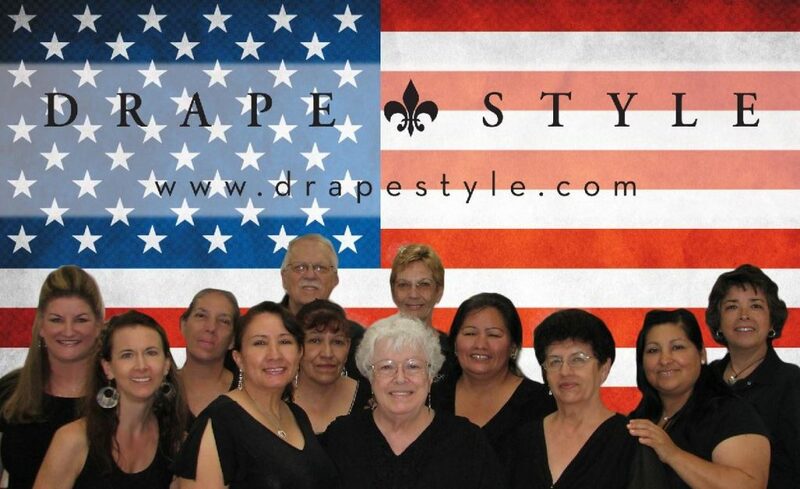 So, introduce the DrapeStyle Solution to the little crawly thing happening in your Cartridge Pleats. The Pleat Plug. Yes, this little device may seem innocent enough but it is the answer to colonies of little crawly guys forever. 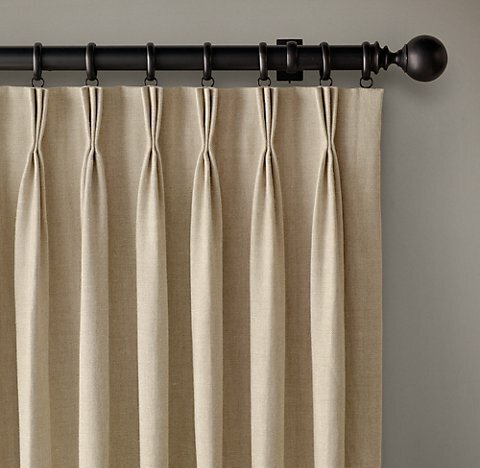 Plus, with the new Pleat Plug Technology with your Cartridge Pleated Drapes or Goblet Pleated Drapes you now end up with perfectly formed pleats that will last the lifetime of the drape. And, DrapeStyle gets themselves a Patent for “Drapery Technology”!! The Cartridge Pleat Plug by DrapeStyle! 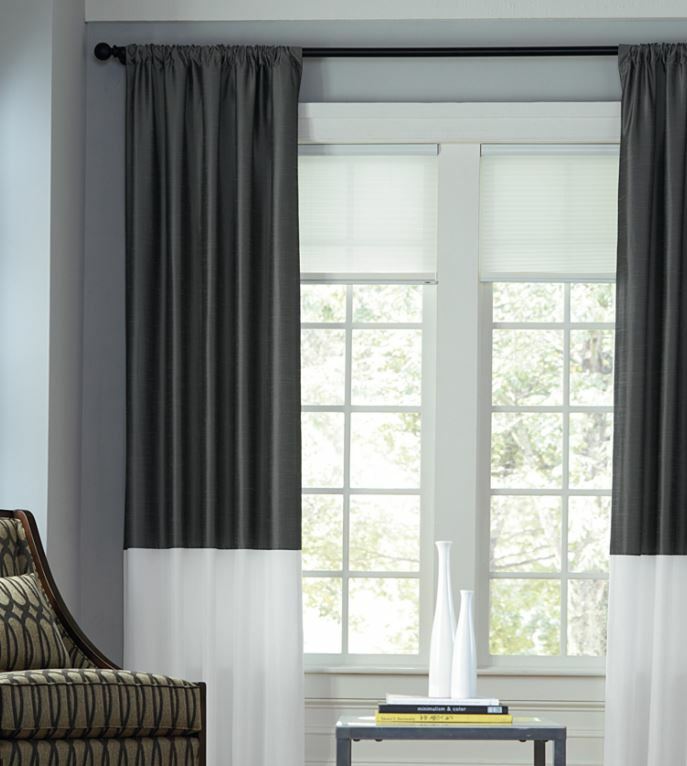 When it comes to pleat options for custom drapes, there may not be anywhere that provides you with a wide selection of pleat styles than DrapeStyle. 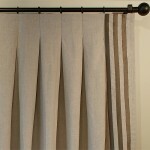 Here are some of the “standard” drapery pleat options we offer with sketches. Please keep in mind that these are just “standard” options. 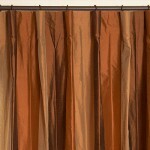 Since we manufacturer all of our custom drapes internally, we have the ability to make any pleat style you can imagine. Inverted Pleat: The Inverted Pleat is a very clean and tailored pleat which is considered a more contemporary pleat style. 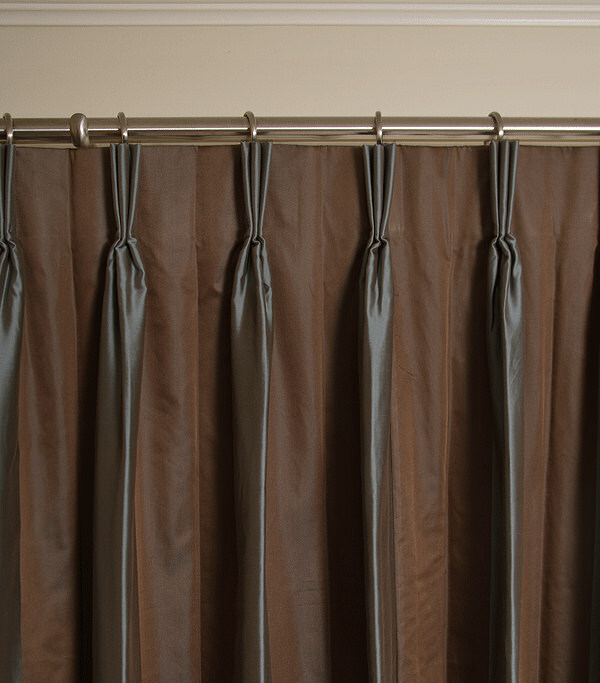 Our Inverted pleat is 4 inches in length and is available in all drapery fabrics. 8-Inch Inverted Pleat: The 8-Inch Inverted Pleat is the same as the standard inverted pleat but the actual pleat is twice as long than the standard inverted style. 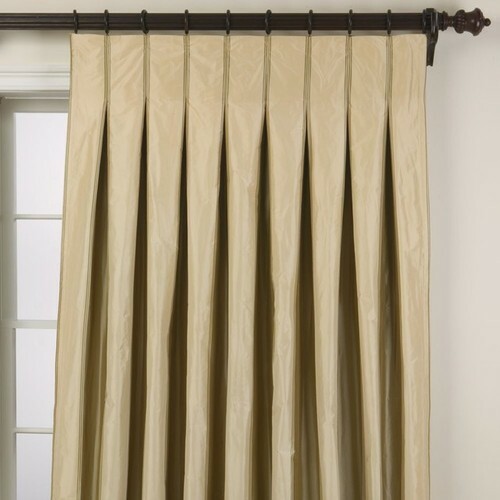 Flat Pleat: The Flat Pleat is the most basic custom drapery panel wherein the top, or “header” of the drapery panel is not pleated but left flat. 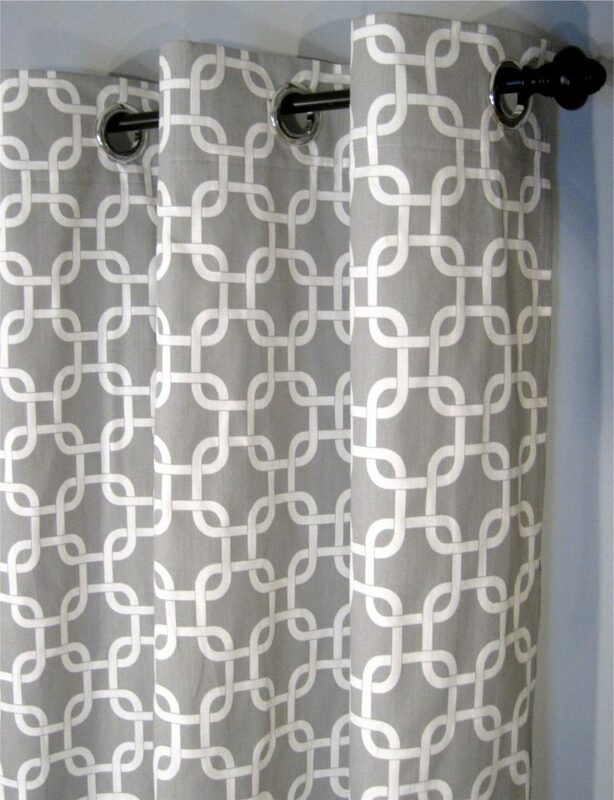 These panels are hung using drapery pins which are installed on the back of the panel. Cartridge Pleat: The Cartridge Pleat is somewhat “Transitional” in style meaning that it can be used in “Traditional” style homes as well as more “Contemporary” style homes. At DrapeStyle we used a Patent Pending process to make our Cartridge Pleats wherein we fill the void in the center of the pleat with a foam insert. 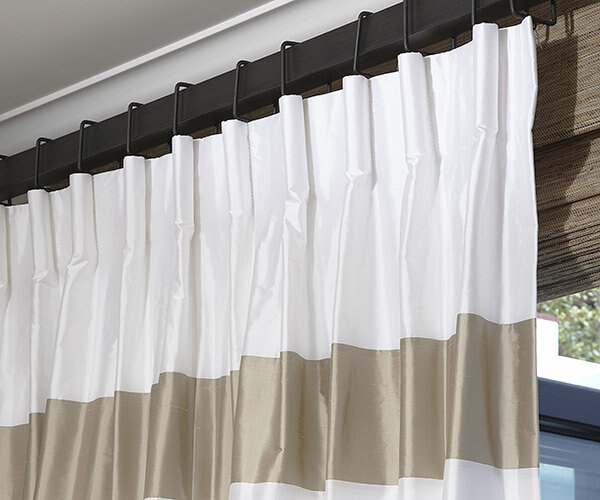 The insert supports the pleat so that is maintains a uniform size and also prevents insects from “living” in the pleat of the drape. We also offer a Goblet Pleat (not shown) which is similar to the Cartridge with a shorter and wider cartridge that looks like a wine goblet. French Pleat: The French Pleat is probably our most popular pleat style. 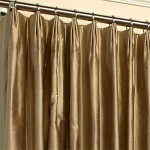 The French Pleat is also the most traditional and recognizable drapery pleat we offer. Parisian Pleat: Similar to the French Pleat, the Parisian Pleat consists of three “fingers” that are sewn together. On the Parisian Pleat the fingers are then “tacked” at the top of the pleat creating a “pinch”. Because of this “pinch” the Parisian Pleat is also referred to as a “Pinch” Pleat style. 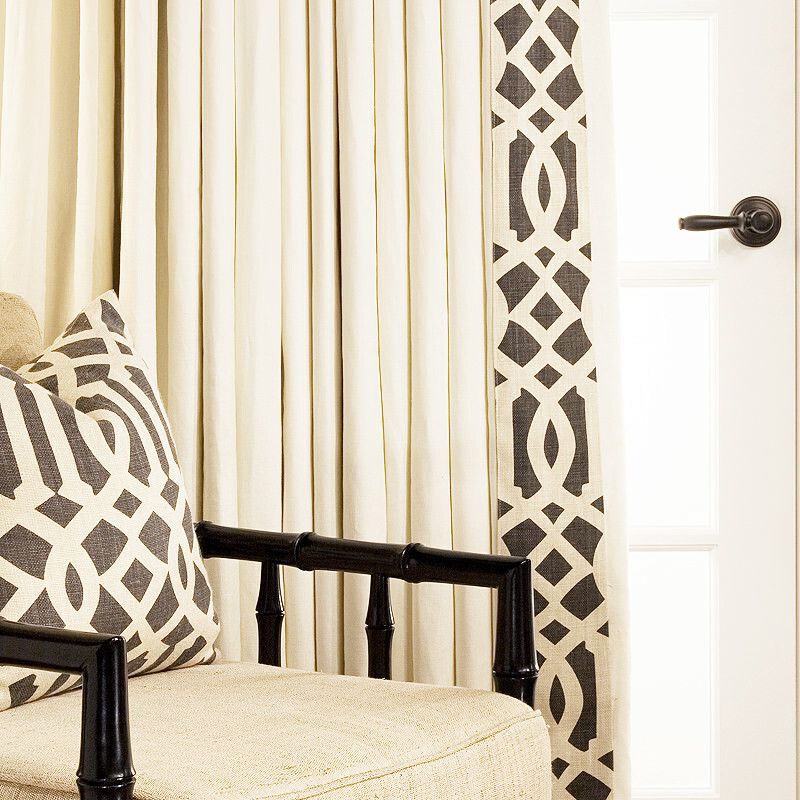 Grommets: Grommet Drapery Panels are the most contemporary of our pleat styles. 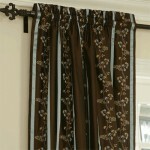 We offer several options of grommet colors and sizes including those which are made for use on outdoor drapes. All of our grommets are inserted by hand in our own Workroom. 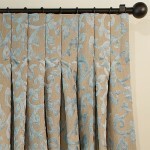 Rod-Pocket: We offer two versions of the traditional rod-pocket drapery panel. The most basic is a simple rod-pocket where a pocket is sewn into the top of the drapery panel where the drapery rod is inserted. 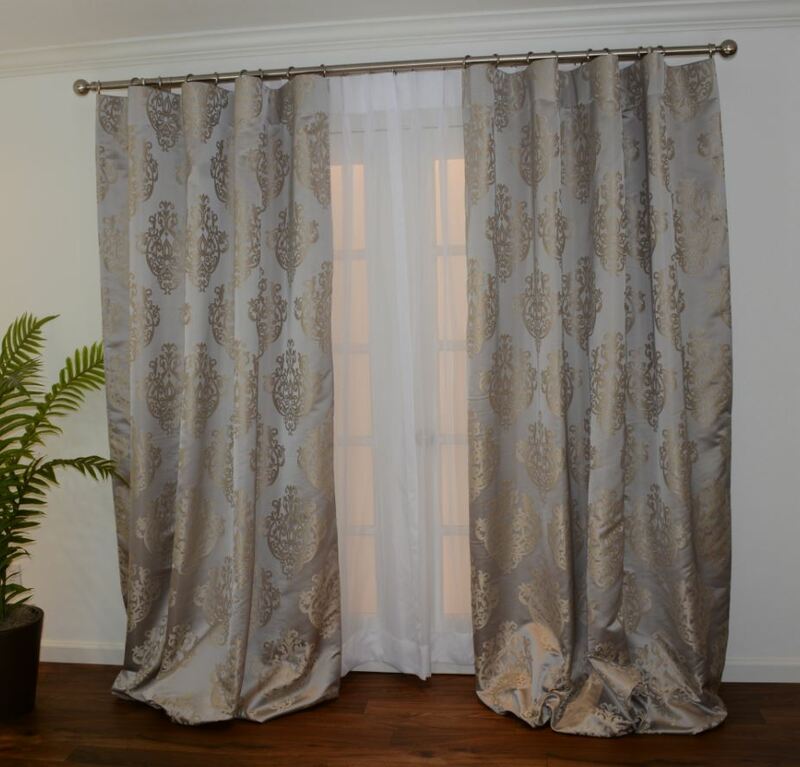 We also offer a rod-pocket with flange where we leave a 2-inch portion of fabric at the top of the panel which will remain above the drapery rod. 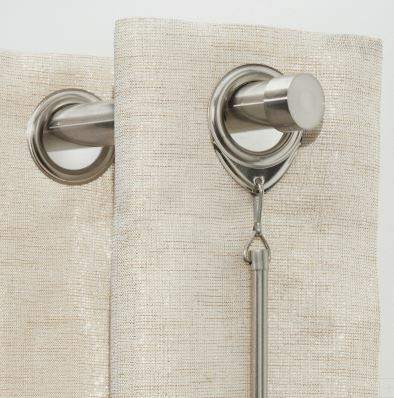 Neither of the rod-pocket options will include drapery pins or hooks that are used to attach the panel to rings. 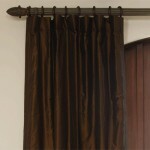 When it comes to selecting the right pleat for your custom drapes, there really isn’t a “correct” pleat style to choose. Call one of our Designers and we’ll be happy to send you more images and help you select the perfect pleat for your window. 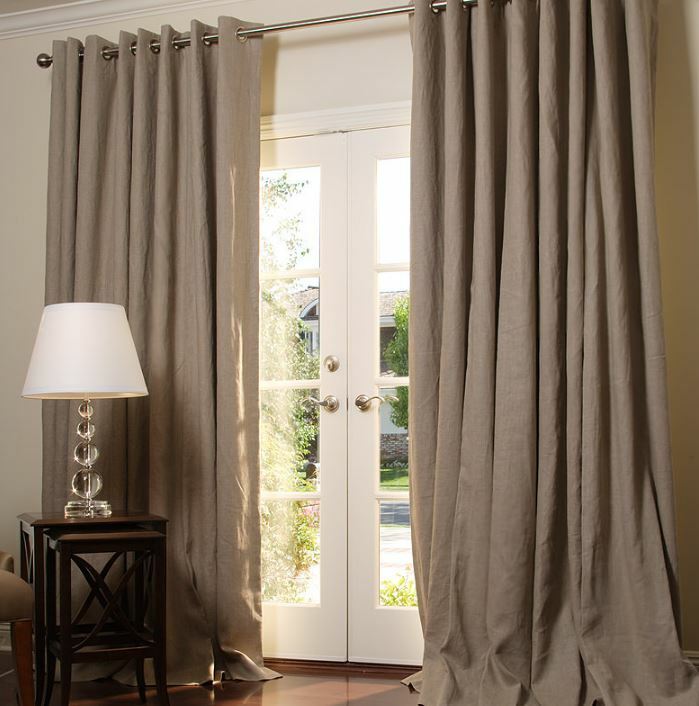 The French Pleat is one of the oldest and most classic pleat styles for custom made curtains or drapery. The French Pleat is also known as a Pinch Pleat and these two terms are often used interchangeably. 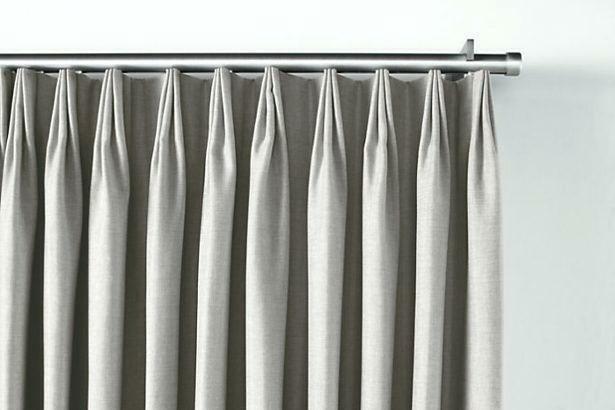 The French Pleat is formed by creating three folds at the top of the drapery panel. These three folds are then “pinched” about three inches down from the top of the drapery panel and tacked using a industrial sewing machine. The three folds are then fanned out at the the top forming a fluted fan. When forming the pleat it is important to fold all layers of the drapery fabric including the buckram, lining and interlining. These layers will make it very difficult, if not impossible, for a typical sewing machine to penetrate. 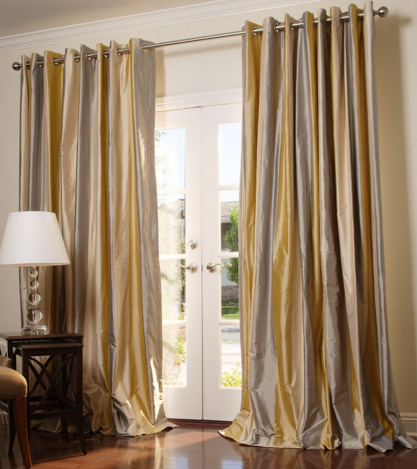 You will need to use an industrial machine known as a “Tacker” to be able to penetrate all of the layers of fabrics. 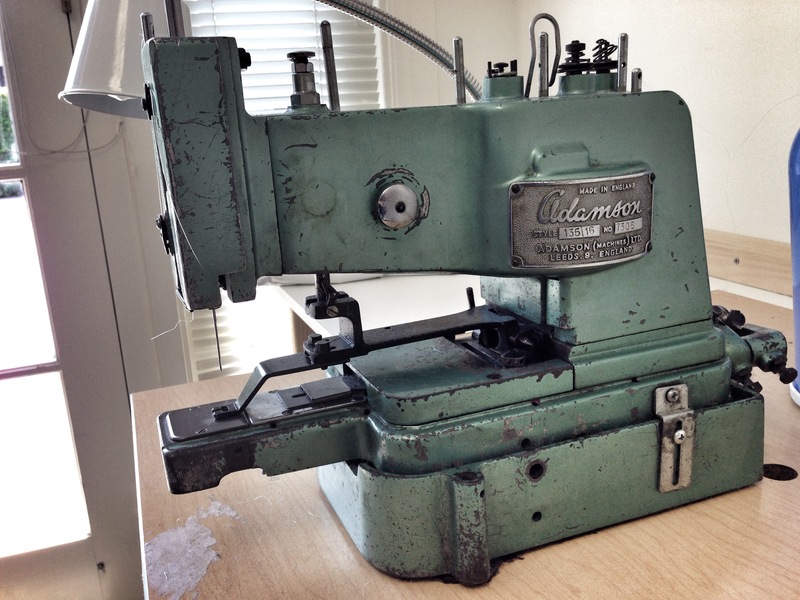 One of our Classic Drapery Pleat Tackers we use everyday at DrapeStyle. Yes, this machine was actually made in Leeds England!